In the post-January 2001 earthquake period Kutch district witnessed massive industrial development. 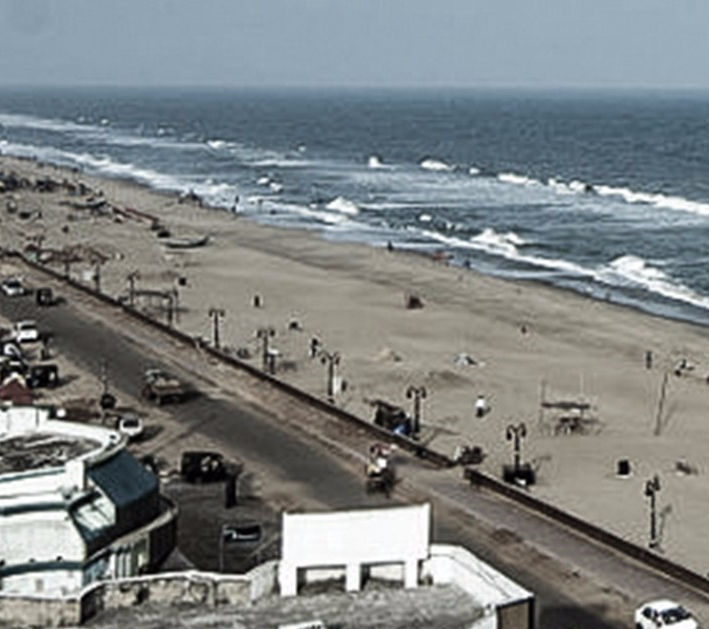 The coastal region of Mundra taluka has become a new hub of industrialization and infrastructural projects. It houses the state-of-the-art private port and one of the largest port-based SEZs. Adani Port and SEZ (APSEZ), earlier known as the Mundra Port and SEZ Limited (MPSEZL), is one of the most ambitious projects and SEZ of the state. It is India’s first multi-product, port-based SEZ, spread over approximately 3225.68 hectares (ha) land, acquired from 14-15 villages over a period of time. 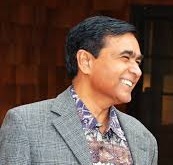 Besides the private port, Adani Group has also built jetty and constructed roads, a private railway line, an airport, power plant, warehouses, townships, etc. in the area under its command. In the coastal region of Mundra taluka, TATA and OPG have also set up thermal power plants of 4000 MW and 2600 MW capacity respectively. Even as industrialization took place, this region has seen growing protest on the part of local communities and civil society organizations against the potential damage to marine ecology by the activities of Mundra port and diversion of the large tracts of common gauchar (grazing) land of the villages to the SEZ. 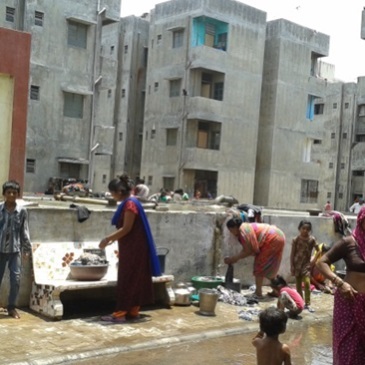 Seeking to understand the impact of industrialization on rural livelihoods in Jharpara, one of the coastal villages, located in the agriculture-horticulture belt of the Mundra taluka in Kutch district, the study suggests how local people’s livelihood options shrank. Jharpara is a multi-caste village with a population of 7353, distributed in 2,018 households. The village households could be divided between three main communities – the backward caste of charan gadhavi (70 per cent), the scheduled caste of maheshwari (15 per cent), and the wagher muslims (12 per cent). Traditionally, the major source of livelihood for gadhavis was agriculture, wage labour (farm and non-farm sectors) for maheshwaris, and fishing for the waghers. “Over a period of time, however, industrialization has had a direct or indirect impact on the livelihoods of all communities”, the scholar explains, adding, “The traditional fishing community of the wagher muslims is the most marginalized section of the village. Damaged marine ecology owing to the activities of the Adani Port has had an adverse impact on the livelihood of fisherfolks.” The study is based on primary data collected through focus group discussions (FGDs) with the villagers from fishing and farming communities, a survey of 212 households, and 38 interviews with key informants. “Over a period of time, there has been a decline in the quantity and quality of fish catch due to the deterioration of marine ecology, caused by the destruction of mangroves and industrial pollution. 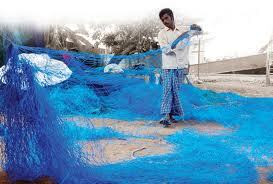 With the thinning of intertidal areas pagadiya fishing has been severely affected. The movement of ships on the Adani port has also made it difficult for fishermen with smaller boats to do fishing in the same area. Rising diesel costs has made it expensive for fishermen with small motorized boats to go further than 15-20 km to the sea”, the study says. Referring to the impact on livelihood, the scholar says, “Though fish price has increased, compared to 10 years ago, income from fishing has dwindled considerably for most fishermen. Some of them struggle to survive on their meagre incomes from fishing and work unwillingly as agricultural labourers, construction workers, and casual labourers in the port to supplement family income. Due to widespread illiteracy and limited vocational skills fisherfolks are unable to take advantage of new economic opportunities.” The result is – the fishing community has been protesting against the industry through the Machimar Adhikar Sangharsh Sangathan (MASS). Coming to the impact on agriculture, the scholar says, it has been “a major source of livelihood for nearly 60 per cent of the households in Jharpara.” A majority of the farmers belong to the gadhavi community. Nearly 80 per cent are small and marginal farmers. “Agriculture is rainfed although many farmers have tubewells or borewells for irrigation. The farmers in Jharpara practice mixed cropping (agriculture and horticulture). Bajara, jowar, and wheat are the main cereal crops grown primarily for personal consumption while cotton and castor are cash crops sold in the market. In addition, coconuts, chikoos, and date palms are the main income-generating horticultural crops. According to the farmers, agricultural production and income from agriculture was good ten years ago, but no longer now”, the study says. “Some farmers have even cut down chikoo and date trees on their farms. 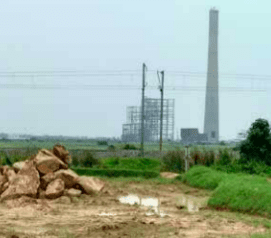 The villagers complain that proper steps have not been taken by the industry to ensure that fly ash spewing out of the power plant does not pollute the air. Furthermore, the cost of agricultural production has gone up since the costs of agricultural inputs and agricultural labour too have increased. There is a shortage of agricultural labourers as some of them have shifted to work as casual labour in the port and industrial-infrastructural projects. Specifically, small and marginal farmers are worried about the sustainability of agriculture in the long run”, the study says.